Set in England and America during the 1680s, this lavish historical drama follows four young people torn between love and ideals in a harsh new world. In England, the restored monarchy of Charles II (Jeremy Northam, The Tudors) has reverted to tyranny. In America, the colonists fight for freedom while waging war against the natives. 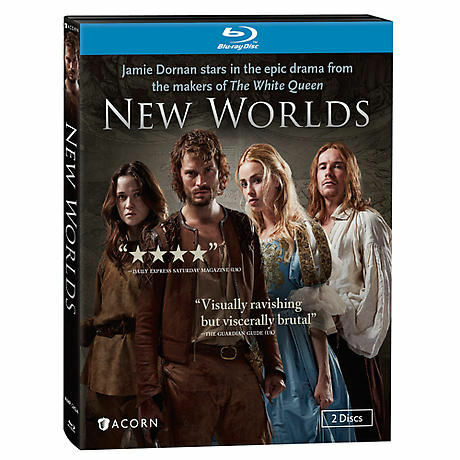 With Jamie Dornan (Fifty Shades of Grey) and Joe Dempsie (Game of Thrones), this British miniseries is "the very antithesis of a genteel BBC costume drama ... filled with mud and blood and torture" (Times, UK). 4 episodes, 3¾ hrs, 2 DVD or Blu-ray discs, SDH.